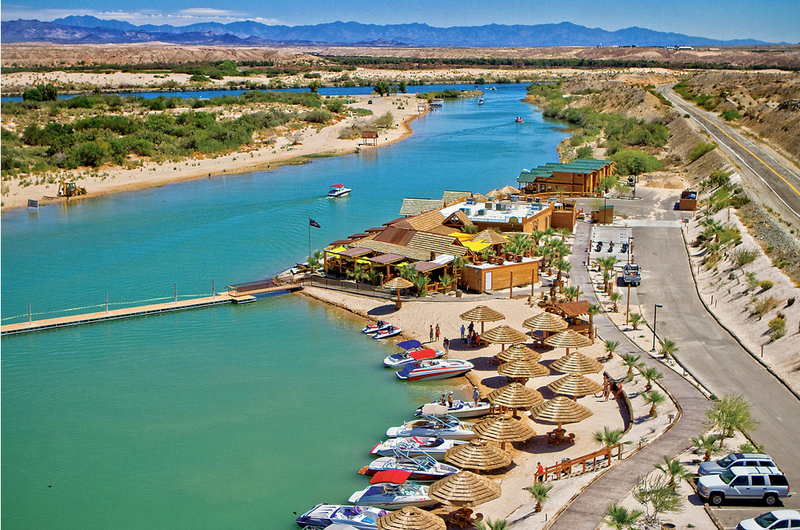 West Coast states like California, Washington and Oregon are home to some of the best waterfront restaurants and bars that boaters can find. Lucky for you, our experts have narrowed down their favorites—here's their list. The best drink I ever had on the West Coast of the United States was a glass of red wine called Il Mostro at the James Cole vineyard. The grapes that go into “The Monster” are grown on old vines and blended in Napa Valley, California, defiantly forgoing the more popular pinot noir and cabernet sauvignon for a blend of zinfandel and petite sirah. The flavor is surprising and stunning at the same time. Il Mostro is the kind of wine that made me wonder why I never knew it existed, or why I might ever want to drink anything else. Then, of course, somebody on a boat off the coast of San Francisco offered me a classic daiquiri in the height of summer, and my loyalties swayed—back to the “tastes like home” sweetness and saltiness that so many boaters love. No matter your drink of choice, some great waterfront spots on the West Coast are ready to serve their own twists on deliciousness. Here are some of our favorites. The Waterfront Bar and Grill - San Diego, CA. Photo Courtesy: The Waterfront Facebook. Right after Prohibition was repealed, the Waterfront opened, in 1933. Locals and fishermen were the first to saddle up to the barstools, and today, the place is a mainstay for the drinks they loved so well: whiskey and bourbon. The bartenders will pour a “true double” or give patrons the bottle to take home, once they’ve had their fill of burgers or fish and chips. An unusual bar-food offering is the house-battered corn dogs, served on a stick. For more information, visit the Water Front. The Waterfront Restaurant - San Francisco. 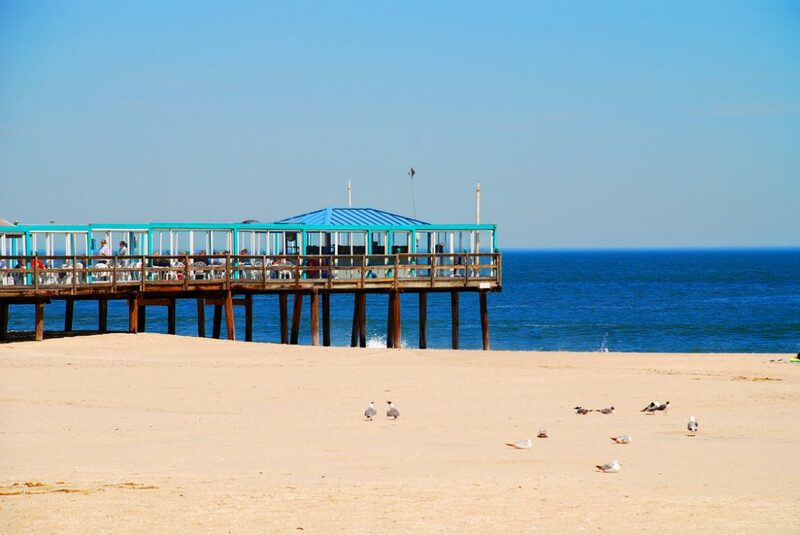 Photo Courtesy: The Waterfront Restaurant. 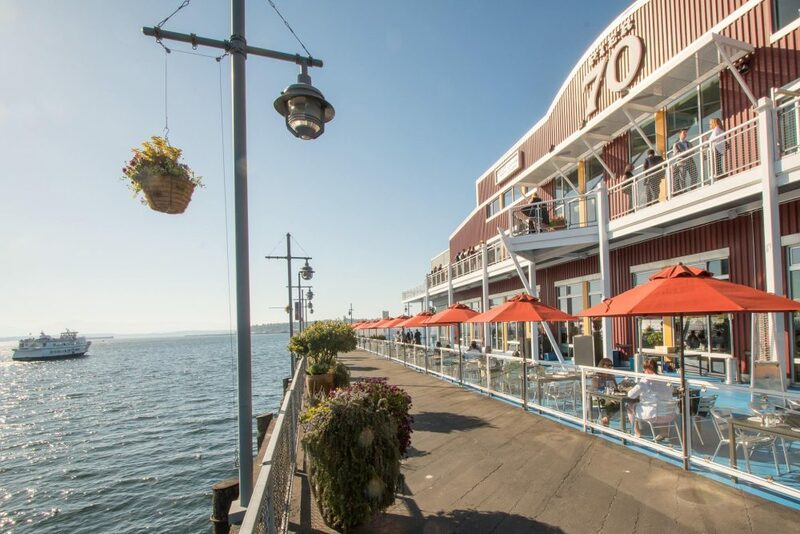 Located on Pier 7 with mesmerizing views of the Golden Gate Bridge, the Waterfront Restaurant is a fine-dining seafood restaurant with a half-century worth of customers on its guest list. Happy Hour is from 3 to 6 p.m. Monday through Friday, serving up $5 glasses of Stella Artois and Warsteiner Pilsner along with oysters on the half shell and truffle Parmesan fries. Stick around for dinner, when cracked crab, lobster and cioppino all shine. For more information, visit Waterfront Restaurant. Café Waterfront - Eureka, CA. Photo Credit: Café Waterfront. The building that houses this oyster bar and grill is on the National Register of Historic Places. 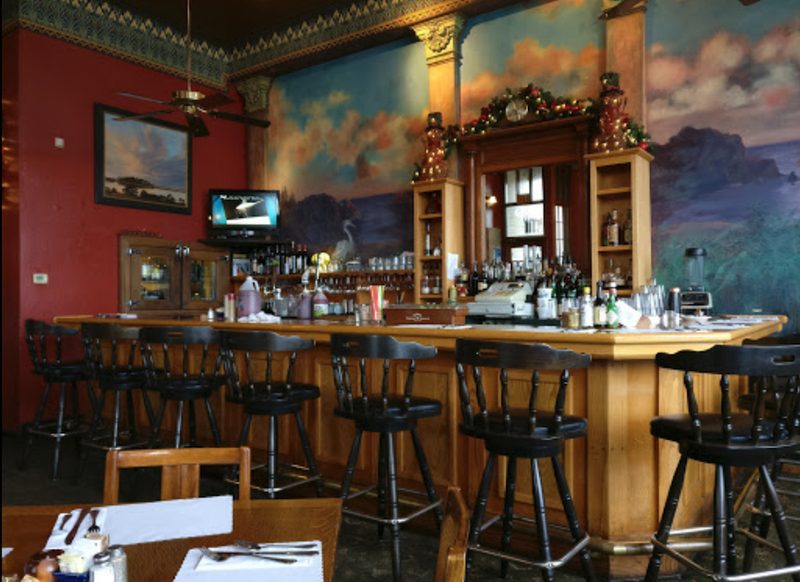 It once had a brothel upstairs from the barroom, with gold miners and loggers coming in from the ferry building for their choice of post-work relaxation. Today, things are a bit more civilized, with a bed and breakfast upstairs and a restaurant below that serves breakfast, lunch and dinner. All the seafood heavy-hitters are on the menu, from scampi to scallops to snapper. For more information, visit Café Waterfront. The Waterfront Depot - Florence, OR. Photo Courtesy: The Waterfront Depot Facebook. 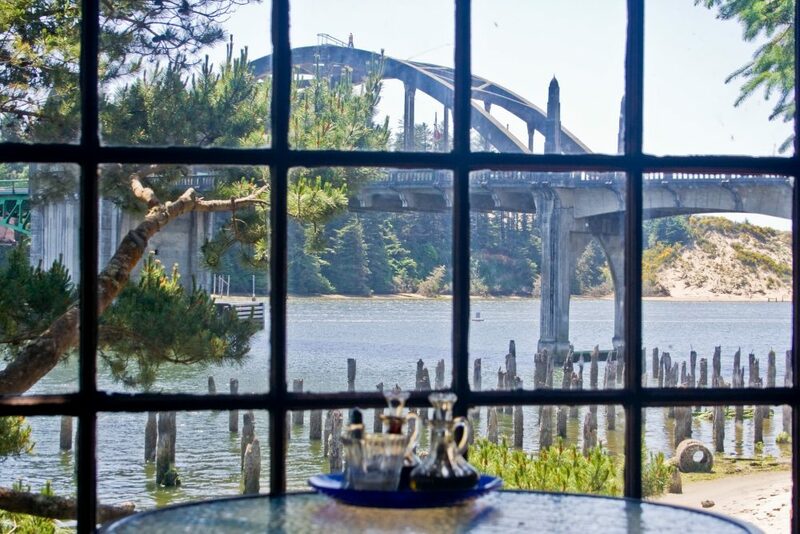 Located on the Siuslaw River just inland from the Pacific Ocean, Waterfront Depot focuses on seasonal fare with surprising drink specials. The Jack Straw, for instance, combines Jack Daniels and strawberry lemonade; The Smokey Blue swirls gin with scotch, blue cheese and olive. Dinner fare is advertised as elevated coastal cuisine, with a mix of seafood, meat and a few surprises including a veggie hempburger, made with hulled hemp hearts, gluten-free oats and organic Noor dates. For more information, visit The Waterfront Depot. 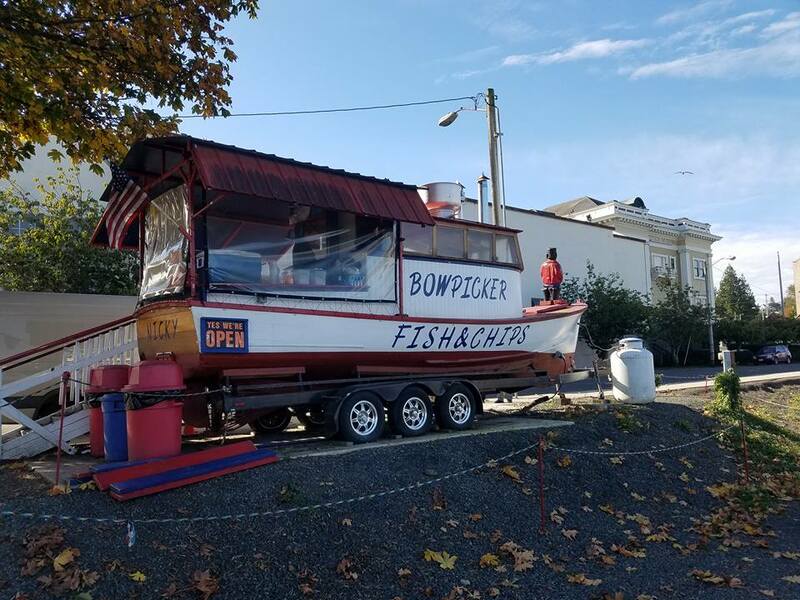 Bowpicker Fish & Chips - Astoria, OR. Photo Courtesy: Bowpicker Fish & Chips Facebook. The “sign” marking this eatery is black paint on the white hull side of a converted gillnet boat across from the Columbia River Maritime Museum. Bowpicker’s is local fast food at its finest, serving a tried-and-true recipe of albacore chunks fried in a light beer batter. The fish is served with steak fries, of course, as well as malt vinegar and tartar sauce for dipping. 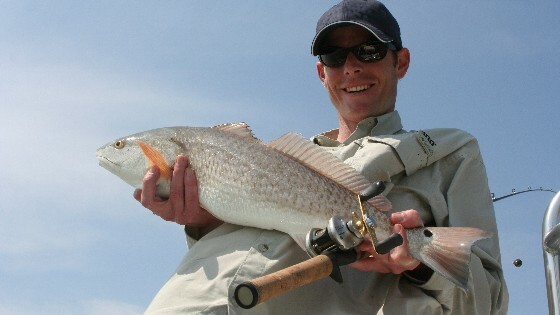 For more information, visit the Bowpicker. Ivar’s Acres of Clams - Seattle, WA. Photo Courtesy: Ivar's Acres of Clams Facebook. Opened in 1938, this waterfront mainstay came to be because its founder, Ivar Haglund, opened an aquarium and realized he could make some extra money by serving his patrons food. Today, Ivar’s serves lunch and dinner with some interesting twists on seafood, such as an appetizer of Dungeness crab with goat cheese dip. 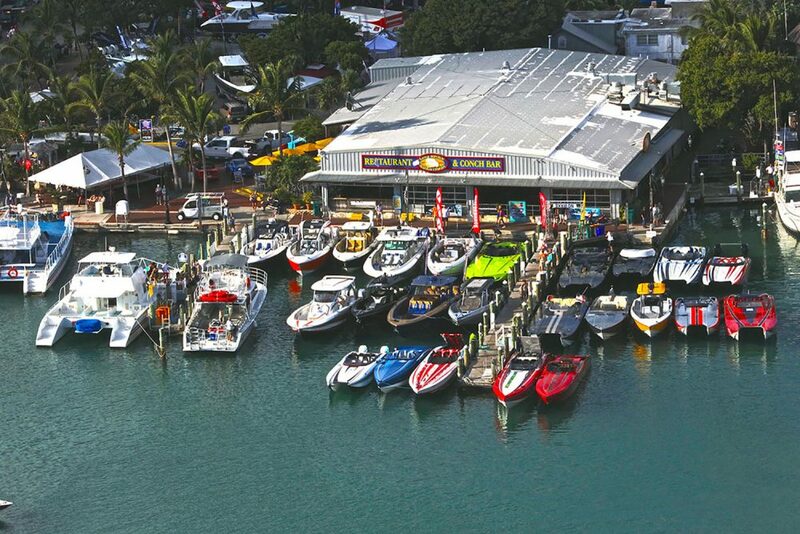 The classics are all on the menu, too, and daily specials are brought in fresh from the local boats. The bar serves beer and cocktails, with rotating seasonal and IPA offerings. For more information, visit Ivar's Acres of Clams. Aqua by El Gaucho - Seattle, WA. Photo Courtesy: Aqua by El Gaucho Facebook. 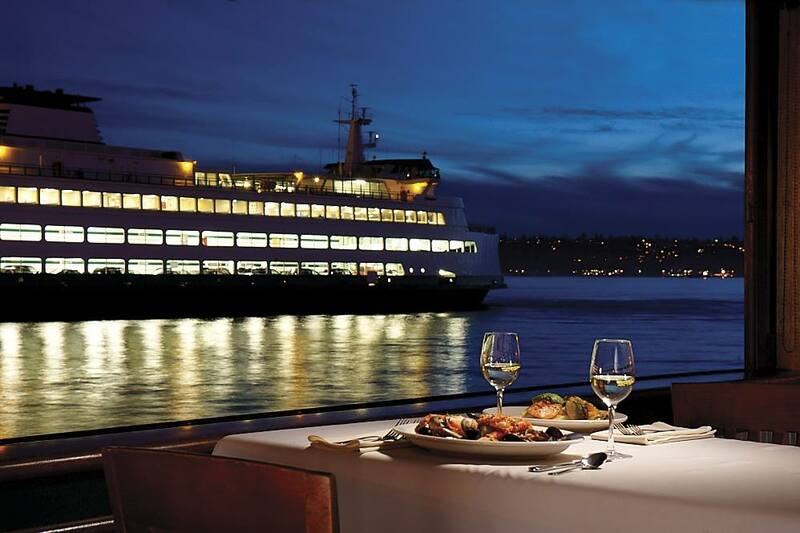 For fine dining with a view, this restaurant on Pier 70 is tough to beat. The walls seem to be made almost entirely of glass, while the waterfront deck is a summer siren song. Signature cocktails are stylishly intriguing, such as the Morado Margarita made with blackberry jalapeno puree. The menu is priced for special nights out, with an $81 “mega” lobster tail and a $98 serving of king crab legs with black truffle aioli. Seafood Bacchanalia for two will run you $142. For more information, visit El Gaucho.